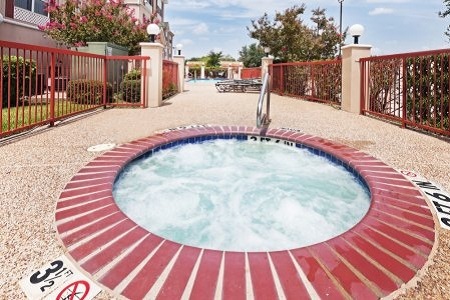 Situated near I-35W, the Country Inn & Suites® by Radisson, Fort Worth, TX offers an ideal location just 10 minutes from the Fort Worth Stockyards. Take our weekend shuttle to Fort Worth Stockyards and see the famous cattle drive, shop for cowboy boots or witness a gunfight performed by The Legends of Texas. For a delicious start to your day, visit the dining room for our free, hot breakfast. Choose sweet favorites like Belgian waffles, or try a variety of cereals and pastries with some fresh fruit. 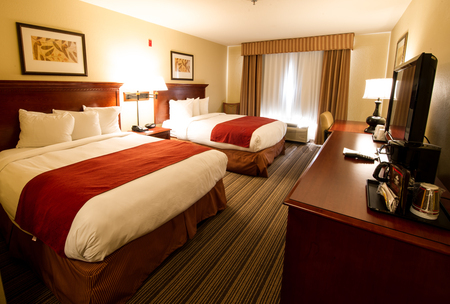 For lunch or dinner, stop by one of the restaurants located within two miles of the hotel. Mercado Juarez Cafe, situated next door to the hotel, serves up delicious Tex-Mex and handmade tortillas, and Cattlemen’s Fort Worth Steak House dishes out juicy steaks in Texas-size portions. Fort Worth Stockyards – This popular destination is dedicated to the heritage of the Old West. Located just 10 minutes from our hotel, this facility features cattle drives, reenactments, walking tours and the Texas Cowboy Hall of Fame. Stop by the Stockyards Gunfighter to duel gunslingers or exterminate zombies in a virtual gun range. Sundance Square – Named after the famed Sundance Kid, this downtown hot spot is home to a variety of shops, restaurants and places to practice your Texas Two Step. Drive about seven minutes to visit the Bass Performance Hall and hear the Fort Worth Symphony Orchestra or watch a Broadway musical in a unique, intimate atmosphere. Fort Worth Zoo – Located about 15 minutes from our hotel, this zoo’s Museum of Living Art features hand-painted murals depicting more than 5,000 reptiles, amphibians and other creatures. Be sure to check out the Burmese python and one of the largest saltwater crocodiles in North America. Both measure more than 15 feet long. 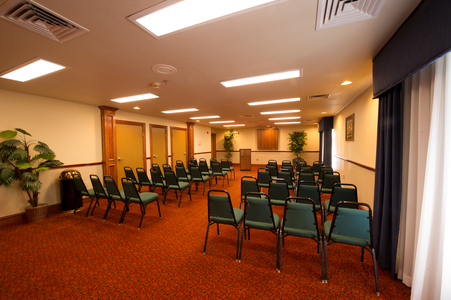 We offer a meeting room that comfortably seats up to 45 guests. 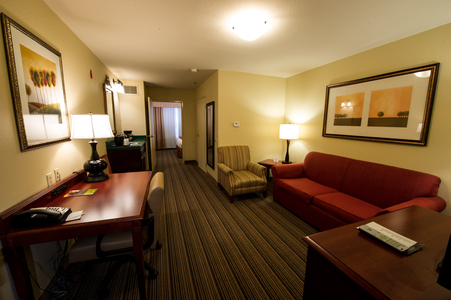 Enjoy free Internet, beverage service and audiovisual rentals. Our friendly staff is on hand to help with everything from event setup to catering.